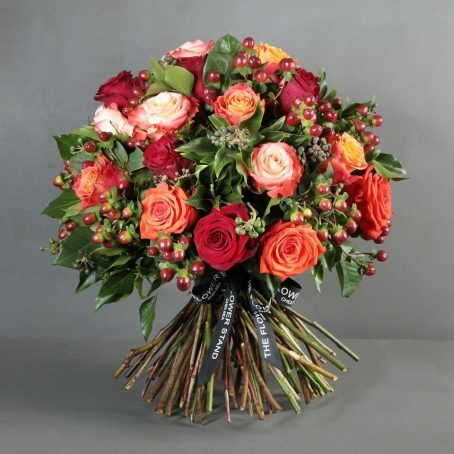 Categories: Roses, Christmas Flowers, Wreaths, Centrepieces & Trees. 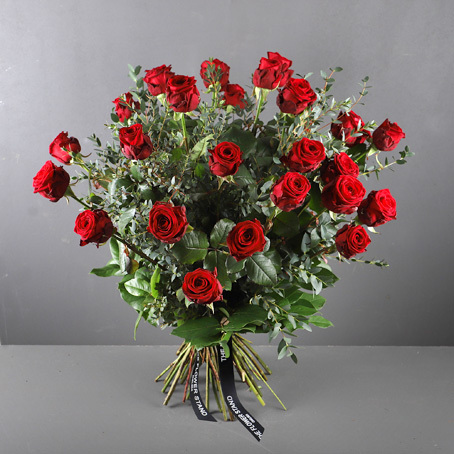 Our master florists hand pick every stem, choosing only the finest quality flowers when creating all of our bouquets. 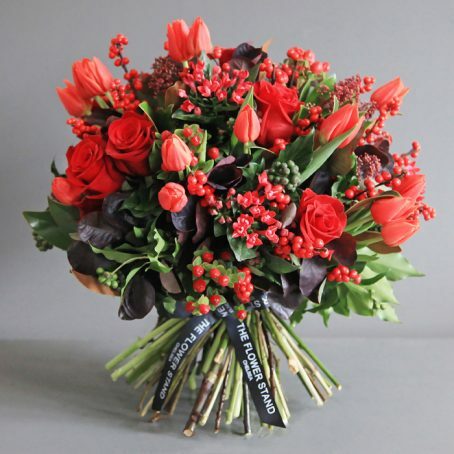 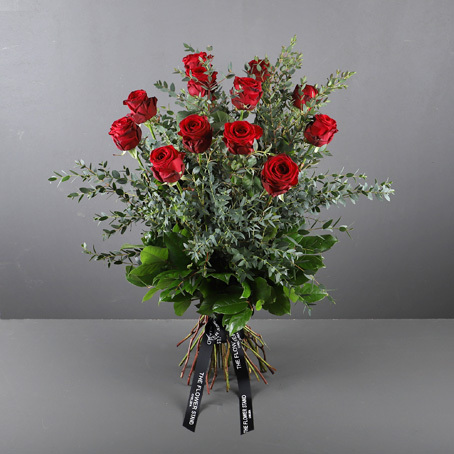 Deep Red Roses and dark green foliage perfectly contrast to evoke that warm Christmasy feeling with this beautiful bouquet. 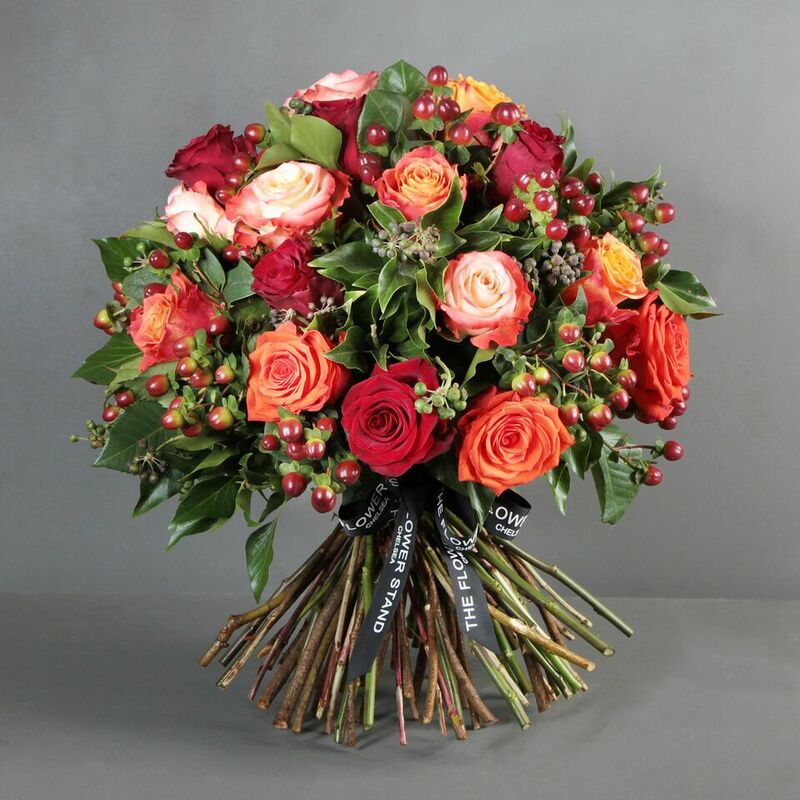 Kindle that festive spirit and show that special someone you care with this luxury bouquet of premium Roses.